Homologation specials are bikes designed to take advantage of the rule book in the production-based World Superbike Championship. In WSBK, manufacturers can only race bikes which are available to buy in the high street. Quite often, what makes a good road bike does not necessarily make a good race bike so if manufacturers want to win races they need to design a race winner then stick some lights and a sidestand on it and make it available to the public. Since the advent of WSBK in 1988, this practice has led to the release some of the most exotic motorcycles ever to be mass-produced – although ‘mass’ is probably too strong a word since homologation special numbers have always been very limited. The first true homologation special was Honda’s RC30 (or VFR750R to give it it’s official name). Based on the factory’s exotic works RVF world endurance racers and hand-built by HRC (Honda Racing Corporation), the RC30 was designed to win the new World Superbike Championship which had its inaugural season in 1988 and, in the hands of American Fred Merkel, it did just that. Originally retailing at £8499, the RC30 was about twice as expensive as any other 750cc machine on the market at the time and set the trend for super-exotic and super-expensive homologation bikes. With it’s sublime handling, superb engineering, a genuine 100bhp motor and iconic styling (including the single-sided swingarm to allow for fast wheel changes), the RC30 set a whole new standard in production sports bikes and has become a modern classic. Honda’s thinking was clear: if WSBK machines had to be based on bikes that were available to the public to buy, then they’d have to build a WSBK racer for the road so they could then simply strip the road gear off it and go racing. They did, they cleaned up, and other manufacturers had little choice but to follow suit. 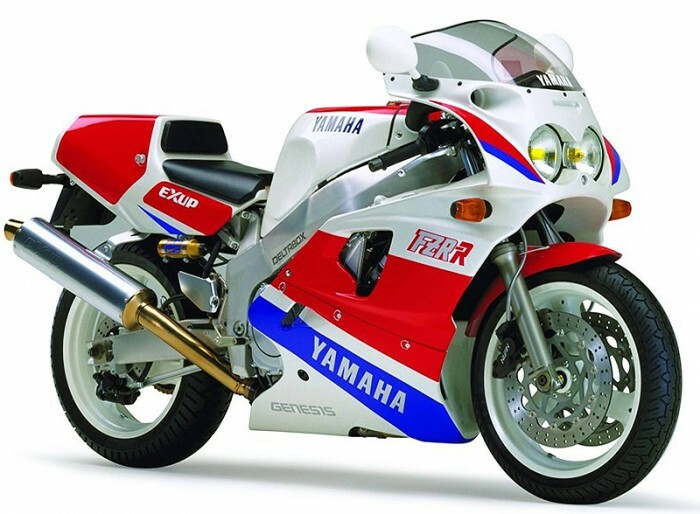 The first to do so was Yamaha when it unveiled its FZR750R (also known as the OW01) in time for the 1989 WSBK season. Costing £13,200 at a time when the FZR1000R road bike was only £5,899, the OW01 was dripping in exotica. Although the frame was based on the FZ750R, the new bike was worlds apart with its pukka race motor, flat-slide carbs, titanium con rods, close-ratio gearbox, Ohlins shock and four-butterfly EXUP valve. The OW01 produced an impressive (for the ‘80s at least) 119bhp but was so race-focused that it made for a very impractical and uncomfortable road bike. But then, that’s always been the trade-off with homologation specials – they’re not designed for road use, they’re designed to win races. By the time the 1990’s kicked in, it was clear to every manufacturer that if you wanted to win World Superbike races and championships, you had to build homologation specials. Suzuki and Kawasaki also got in on the action with the respective releases of the GSX-R750R and ZXR750R in 1989 and 1991. 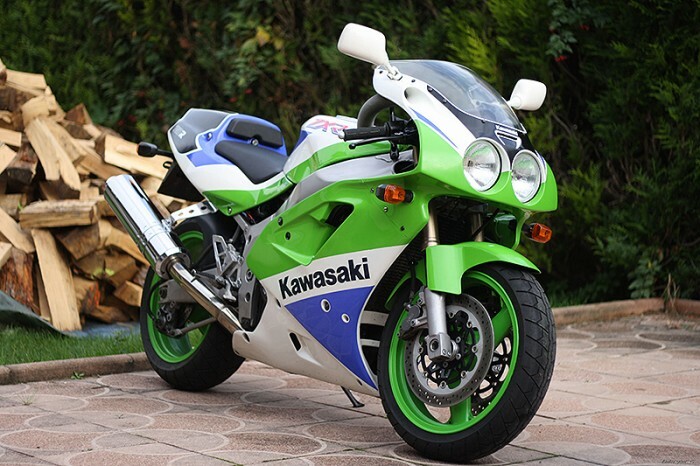 Neither bike was as exotic or expensive as the RC30 or OW01 (the ZXR cost a very reasonable £7699) but they were still far more race-focused than the road-going versions and that made them highly sought-after. 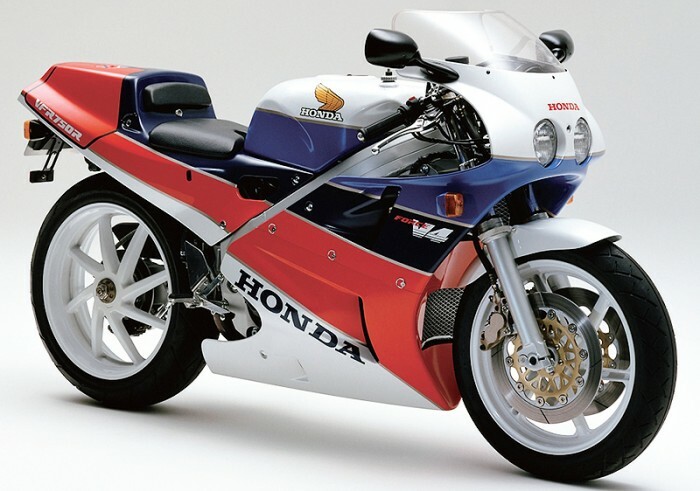 By 1994, Honda’s original homologation special – the RC30 – was six years old and getting a bit long in the tooth. It was replaced by the equally exotic, but ultimately not so successful, RC45. Costing £18,000 over 20 years ago, the RC45 was outrageously expensive but all the more desirable because of its hefty price tag. It wasn’t anywhere near as dominant as the RC30 had been on the racing scene either. Both Aaron Slight and Carl Fogarty failed to win the WSBK title on the complex V-Four and it wasn’t until 1997 that John Kocinski took the bike’s only WSBK title. By the end of the decade, Honda would get sick of pitting it’s beloved 750cc four-cylinder bikes against the all-conquering V-Twin Ducatis - which were allowed a 1,000cc engine capacity - and would develop its own twin, the SP-1 (and later, the SP-2) and take two WSBK titles with Colin Edwards in 2000 and 2002. Ducati took the homologation special to extremes. As a (relatively) small manufacturer, the Italian firm was not obliged to produce as many road-going homologation units as the likes of Honda and Yamaha and they used this special dispensation to great effect. Ducati would build a bike then, if one small part of it needed to be improved to win races, they’d just build another. And another. And another. Since the 916 SP was launched in 1995 the firm has raced the 916SPS, 955SP, 916 Foggy Rep, 996R, 998R, 999R, 1098R and Panigale 1199R, much to the annoyance of their four-cylinder rivals. In a last-ditch attempt to build a four-cylinder bike that could run with the V-Twins, Yamaha unveiled the glorious YZF-R7 (or OW02) in 1999, only 500 of which were ever made. Costing £21,499, the road version only produced a paltry 106bhp. With a full race kit the bike’s power output could be coaxed up to 135bhp but it still wasn’t enough to win a WSBK title. The situation seemed even more ridiculous when Yamaha’s far more accessible YZF-R1 was pumping out 150bhp. With standard road bikes now producing so much power, the need for ultra-exotic homologation specials seemed to be over. The problem was that the capacity for four-cylinder machines in WSBK remained at 750cc so the R1, along with the likes of Suzuki’s GSX-R1000 and Honda’s CBR1000 could were not eligible to race. Unless the rules changed, manufacturers would have to keep on building hugely expensive 750cc machines in order to remain competitive. The, in 2003, they did change, and a new 1,000cc limit was brought in for any bike in WSBK. The age of the homologation special seemed to be over and, for a while at least, it was. But in 2017 a new era will begin.